THE BEATLES Sgt. Pepper's Lonely Hearts Club Band (Without doubt the rarest 'commercial' release of Sgt. Pepper is this Australian-only Audiophile LP pressing. Finally released in July 1983, EMI made just 497 copies available to the public beforescrapping the entire project, which included a proposed Pink Floyd Dark Side Of The Moon release. This LP is in superb MINT condition - click on 'More Info' for additional notes on this stunning rarity..). 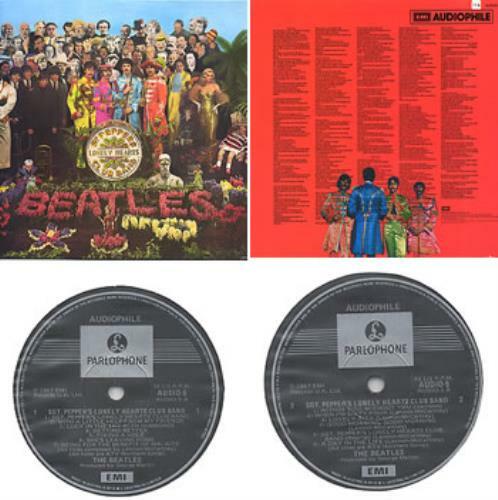 *Thanks to Bruce Hamlin of The Beatles Record Information Service in NSW Australia for background information on this unique LP.